Tell us about yourself, where you’re from/grew up/live now, what you do for fun, if you work at “day job” what do you do that may impact your writing, favorite pet—you know, all that stuff that makes you interesting! I am not really from anywhere. I was born at home in Essex and my family moved every four years; Suffolk, Leicestershire, Lancashire, Staffordshire, Leeds, Runcorn, Milton Keynes, Warwickshire before settling in Wrexham in 1999. It’s the longest I’ve ever lived anywhere, and the only ‘home town’ I’ve ever had. I married in 2000 to my husband Stephen, (who is a complete saint) and have two children; Ioan, 8 years old and Lily Grace who is 3 years old (going on 13 years). Fun is playing with my kids and anything that involves them exclaiming ‘Wow’ or laughing raucously. But I also relish those moments of quiet, and space to just be. My day job is my fun. 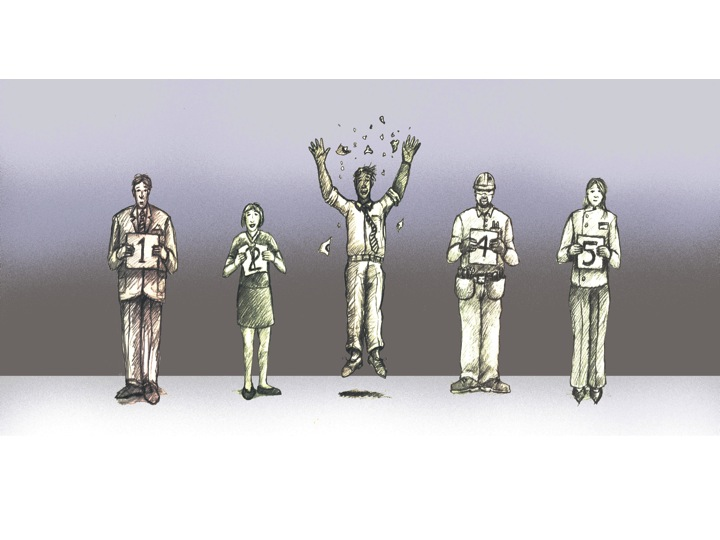 I run my own Organisation Development Consultancy, which I started in March 2011, and am working on launching a new business Catch 22 Talent–a Talent Management Consultancy, later this year. Also planning a charity called The City on the Hill with my husband and two friends Liz and Si o’Rourke. My mission, my passion in life is to help people BE all that they are meant to be, releasing their potential and helping organizations achieve their goals through releasing their people to BE all that they can be. My ‘writing’ career happened almost by accident. If you had asked me as a kid what I wanted to be when I grew up, it was to be a journalist and drive a red open top car. I don’t know why the young me had in my head that journalists drove red open top cars, but that was what I was going to be when I grew up. That passion continued throughout my schooling, which was coupled with a burgeoning interest in politics. I applied for journalism courses at university. Then the spanner in the works arrived. I spent the summer between A-levels and getting my results working in London. Three days at the Sunday Times was all it took for me to realize that ‘the pinnacle’ of my chosen career wasn’t a culture that aligned with my values, beliefs or vision for my future. I chose a bland ‘communications studies & politics’ course at University completely confused as to what I wanted to ‘be’ when I grew up. At university I worked as a chambermaid, barmaid and eventually ended up doing promotions in the local Ritzy nightclub, this resulted in a full time role on leaving university opening The Majestyk Nightclub in Leeds City Square. From there I got a role as a sales coordinator in an ice cream cone company. Life got… interesting for a bit… I got sacked after breaking a photocopier, and I was homeless (sleeping on friends floors) for a couple of months after being beaten by my then boyfriend–then got my life together and started a ten year career in sales followed; Kraft Foods (Coffee & Custard) and Britvic (Soft Drinks). But then in 2004 I was moved onto a business transformation project, a role, which included training and I had a road to Damascus moment that People Development was what I wanted to do. At the end of 2004 I went on maternity leave to have my son Ioan. On my return to work I realized that if I wanted to do the job I was passionate about, I was going to have to leave my son at home. A stint as an L&D manager at Britvic and designing and delivering a programme that delivered a £9m improvement to the bottom line convinced me that “this is what I had to do” with my life. I could contribute more to an organization through developing people than I could selling pop. At the end of the project I had a choice–back to sales (which I hadn’t done for nearly 3 years) or redundancy. I took the leap. Ignoring the advice of the recruitment agent (you’ll never get a role in learning and development) I pursued my career change and an interim role at Urenco (Enriched uranium) as a L&D advisor led to a People Development Manager role at Aggreko (Temporary Power). The role at Aggreko convinced me I had made the right decision. 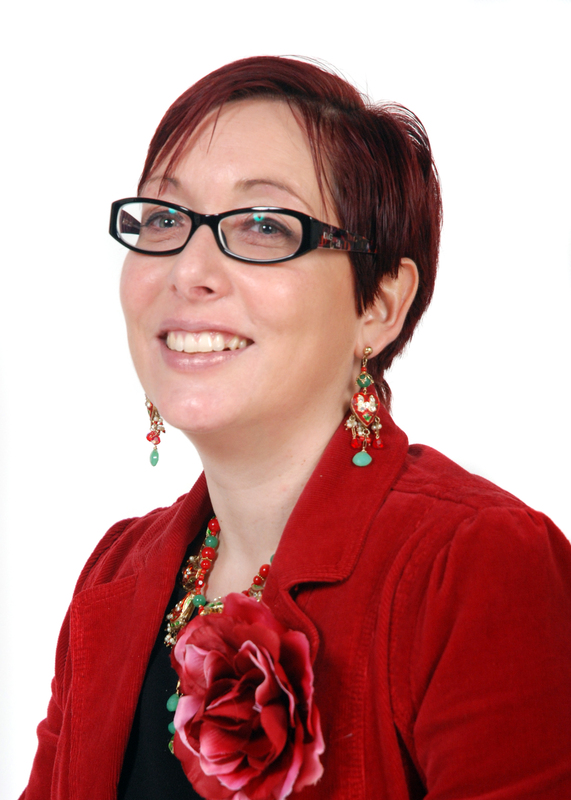 In 2009 I took maternity leave to have my daughter Lily Grace, but my return to work was made difficult by a change in my line manager–the result of which led to severe mental illness and depression. I went on sick leave after Christmas 2010 after I self harmed and realized I needed help! I started writing my book Organizational Balance in 2011 when I was off work on sick leave. It was part of my cognitive behavioural therapy, but also gave me routine, which gave structure to my day. I never returned to corporate life and began working full time on Fortitude in May 2011. I started blogging as a way of marketing my business. I also wrote a few e-books as ‘free giveaways’ on my website; the blogs led to More than Just a Number–The challenge to Be and not to Do which was published as an e-book in January 2013. As part of my consultancy I began lecturing at Chester University, and after work coffees with some colleagues resulted in a research paper; Rethinking Talent Management in Organizations: Towards a Boundary-less Model – The paper was published as a chapter in the book – ‘“Innovative Business Practices: Prevailing a Turbulent Era”’ edited by Demetris Vrontis and Alikis Thrassou in April 2013. A blog I wrote in 2012 asking the question “what if organisations pursued something other than an economic agenda?” became an itch I couldn’t scratch and led to writing the book – “Change for Good”; Temperatism a people centric ideology which will be published at the end May 2013.
Business and Management, more specifically anything to do with releasing the potential of people, talent management, organizational behaviour and organizational development. I can’t say any one writer inspires my work, but I am an avid reader. My reading is split into two lives–work; journals, text books, academic research papers, management books, development books–anything that I can get my hands on about subjects that I am passionate about. In my personal reading I love anything by Stephen King, Peter Hamiliton, Tad Williams, Edward Rutherford, Philiappa Gregory and I am gutted that George R Martin hasn’t finished the Game of Thrones series yet. “Change for Good”. I hope that people read it, and take its message to heart–it really could change the world, people can really change the world, and I want to be part of that. I believe the ideas in the book strike a chord with the discontent that people feel with government, society and work at the moment. Maybe I am naïve, but I am excited by the possibility of being part of the change that the world so desperately needs. Best advice… write every day, make it a habit. Worst advice–“We love your book but we want you to pay to get it published,” advice I am pleased to say I ignored. “Change for Good” is an exploration of a proposed new people centric ideology, Temperatism. The book offers an in-depth study of a number of ideas based upon a socio-humanist value system. In presenting these ideas, values and beliefs as a manifesto of change based on the Temperatist ideology there is a hope that the book will ignite a passionate debate regarding the political, economic and social systems which govern our lives, and a hope that many will take up the banner to change the self-interested profit agenda promoted by capitalism, for a new social agenda for Doing Good. The cover was done by my husband Stephen. “More than Just a Number; The Challenge to Be Not To Do” is a short e-book which promotes the idea that every individual has a unique talent potential. Written in a relaxed, chatty, blogosphere manner, it aims to encourage individuals to seek out their talent and release their potential. To be defined by who they are, not what they do. Written in conjunction with colleagues Neil Moore and Peter Stokes, “Rethinking Talent Management in Organizations: Towards a Boundary-less Model” is an academic research paper which explores the existing conceptualization of Talent and Hard HRM approaches to Strategic Talent Management, before offering a new model for Talent Management in Organizations. The paper will appear as Chapter Two in the book – “Innovative Business Practices: Prevailing a Turbulent Era” edited by Demetris Vrontis and Alikis Thrassou. I believe passionately that everyone has talent; it just might be that you haven’t discovered it or are in the wrong job to find it. I get angry when organizations treat people badly, not just because of my own experience but because they nod their heads and say that “people are our most important asset” and then create an environment that make it impossible for people to deliver outstanding performance, failing to invest in the only asset in their business that has the potential to increase in value AND achieve the organizations goals. Crazy. I am dedicated to helping people find their talent, develop it, and do work that they love. I have over 100 pairs of shoes. Now there is something I can really relate to, Carrie! Where can readers find out more about you and your work? 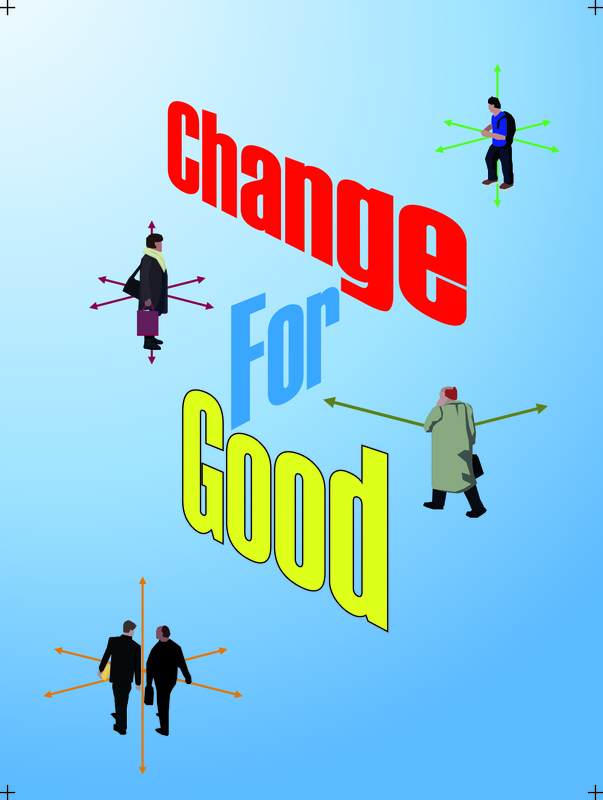 “Change For Good” is available on Amazon and Kobo and will be available in print June 2013. E-book – “More than Just a Number; The Challenge to BE and not DO” by Carrie Foster is available from Kobo, Amazon and Smashwords. “Innovative Business Practices: Prevailing a Turbulent Era” is available from Cambridge Scholars Publishing. Carrie, thanks for stopping by and sharing with us.